GPSC Recruitment, GPSC Deputy Section Officer & Deputy Mamlatdar Recruitment, OJAS GPSC Recruitment: Gujarat Public Service Commission released latest recruitment advertisement to recruit class-1/2 posts. Commission invite young and aspirant candidate for GPSC Deputy Section Officer & Deputy Mamlatdar Recruitment posts. Candidate may read full notification regarding Recruitment on official website gpsc-ojas.gujarat.gov.in. The Gujarat Public Service Commission published advertisement for various class 1-2 post. Commission invite young and aspirant candidate for mentioned post. This is a good chance for those candidate who are seeking a job in gujarat public service commission. GPSC invite candidate through online mode application on its official website. Online application start from 15-09-2018 to 1-10-2018 on its official website. Applicants are advise read recruitment advertisement and all instruction like age limit, education qualification, important date, fees, pay scale and other in below notification. Official Website: https://gpsc-ojas.gujarat.gov.in/ and www.gpsc.gujarat.gov.in. Search GPSC Class-1 /2 Advertisement. Fill personal, educational and other necessary information. Take print out form for future reference. Commission conduct Exam for recruit candidate in Gujarat Government class -1, class-2 posts. GPSC published advertisement and invite eligible candidates through online application on official website. Aspirant candidates may apply online mode. 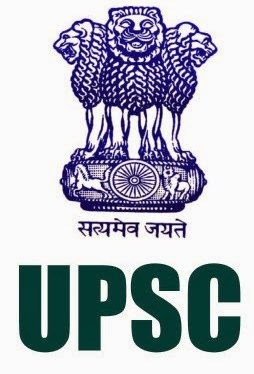 GPSC test candidates through Preliminary Exam first. Candidates who successfully Cleared preliminary Exam they are eligible for Main Exam. According to Main Exam Result Commission select candidates through interview for Final Posting.